MANCHESTER — Manchester United have reportedly rebuffed an offer from Barcelona for Paul Pogba, despite the Spanish champions offering money plus players in its proposal. According to Sky in Italy, Manchester United have rejected Barcelona’s offer of £45m plus Yerry Mina and Andre Gomes for Pogba, citing that the English Premier League side has no interest in parting with the France World Cup winner who only recently returned to the club. The news developed after reports claimed Pogba’s representative Mino Raiola had travelled to Manchester to push through a move for his client to join the Spanish giants, following reports that the French midfielder and manager Jose Mourinho have not been on good turns. 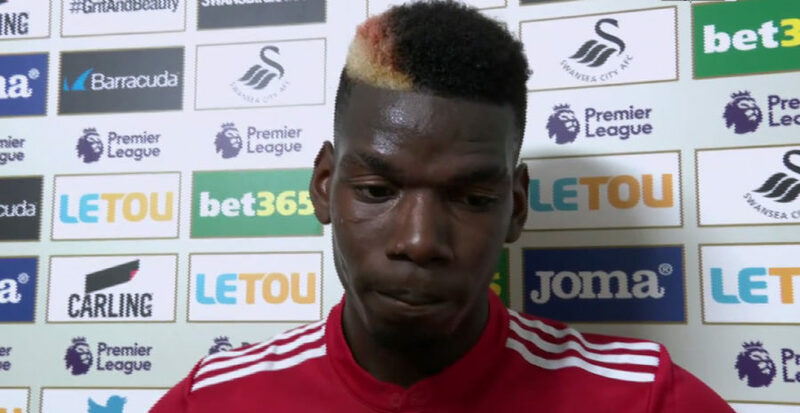 Pogba returned to Old Trafford as one of the club’s high-profile signings in 2016 for a then-world record fee of £93.25m but has reportedly been unsettled under Mourinho and wants to leave. Manchester United, however, are not willing to allow the 25-year-old to leave again, especially given that he has three years left on his current contract. The Red Devils are in the market for a centre-back and have been linked with Mina in recent weeks. Barcelona were apparently hoping to tempt the English giants with the Colombian and Gomes, who is a Portugal midfielder with 29 caps. It is understood Manchester United are currently monitoring the situation with involving Mourinho and are would rather sack the Portuguese and bring in another manager than to sell Pogba.